England manager Gareth Southgate will talk to Declan Rice about old social media posts which appeared to support the IRA, but insists they will not play a part in whether or not he makes his debut on Friday night. The West Ham midfielder issued an apology on Thursday after old Instagram comments resurfaced, only adding to the spotlight already on the 20-year-old after he switched allegiance from the Republic of Ireland. Rice’s Instagram posts were unearthed on the eve of the Euro 2020 qualifier against the Czech Republic, with one saying ‘My brudda. UP THE RA. Wait till we draw England’, and another using the hashtag ‘UPTHERA’. Capped three times at senior level with the Republic of Ireland, Rice decided to represent England moving forward and was called up by Southgate at the first opportunity after FIFA ratified his application. 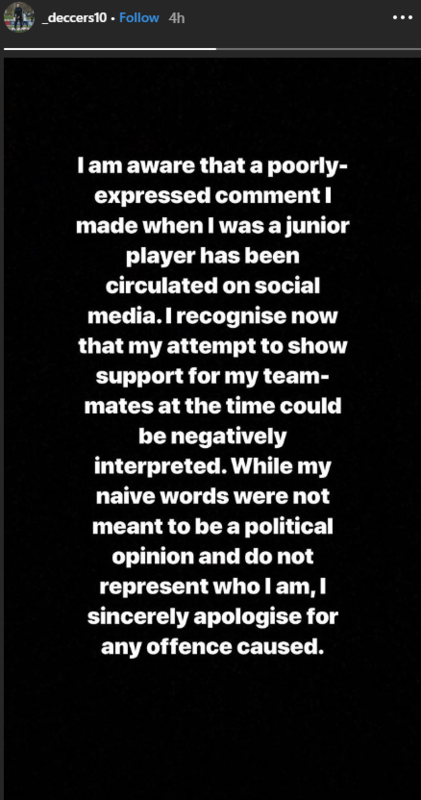 Rice moved swiftly to apologise once the old posts were circulated online, writing an Instagram story which read: “I am aware that a poorly-expressed comment I made when I was a junior player has been circulated on social media. Southgate, too, said he would seek a discussion with Rice, but said the incident would not have an influence on whether he hands the player his maiden England cap. Asked if he had spoken to Rice, Southgate replied: “I haven’t had a chance because it’s basically broken as I was on the way down. “I’ll go and just make sure he knows that firstly, that he’s OK and that he’s supported. I understand that it’s not a situation that should just be dismissed but equally the context, the period of time that’s passed and his age at the time is all relevant in how we should deal with it. “It won’t affect anything in that respect (whether Rice plays or not). Southgate offered a defence of Rice and believes most people will be understanding of the situation. “That is the perils of social media for any of us with kids,” he added. “You just don’t know what that interaction might be. When they’re socialising with friends, you’re a bit braver in some of your comments or a bit less thoughtful in some of your comments, so I think for all young people that is a danger. “There are so many positive things about social media, but, as we know, there are lots of negatives. “It’s not representative of what he believes and feels, and his views. “And outside of that, the obvious point is that this was when he was 15 or 16 when he was engaged in a social conversation with friends. “I think people understand. Most people will have children of those sorts of ages and people are still maturing at that age. “You’re in conversations with friends that, you can get giddy and you can say things that maybe you don’t even know enough about or you don’t understand the context. Then there is the fact that a minority of England supporters chant anti-IRA songs, as well as “no surrender” during the national anthem. Asked if the Rice’s situation undermines the FA’s work to eradicate such issues, Southgate said: “Well, we have to make sure that it doesn’t.